Parking Lots | Save It! 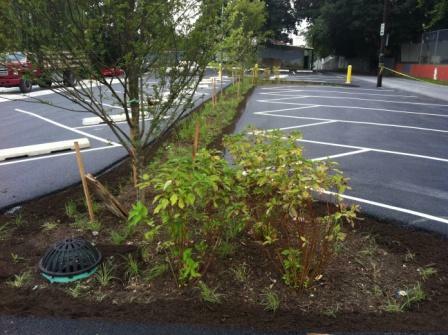 Lancaster Community Mennonite Church undertook a parking lot improvement / expansion project that was recently completed and incorporates permeable paving, bio retention / rain gardens, and trees. 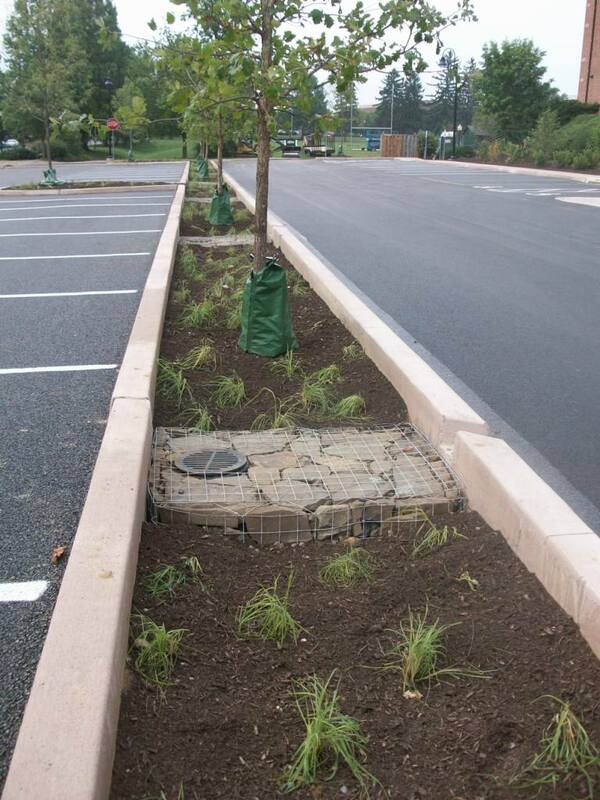 Plum St, Dauphin St, Penn Ave., and Mifflin St. parking lots were fully renovated in 2013 using green infrastructure technologies. 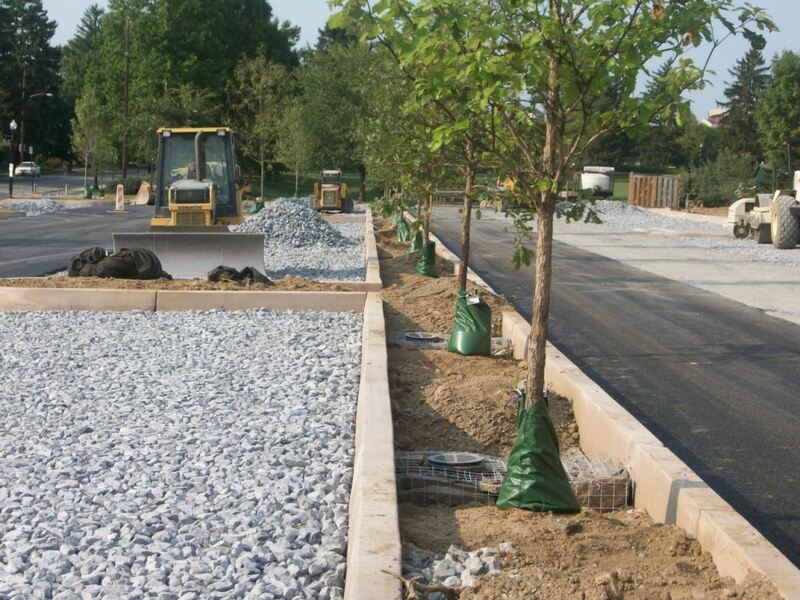 In addition to capturing stormwater the project includes repaving, planting trees, improved lighting, and organized parking placement. Combined the four parking lots are estimated to prevent nearly 2.3 million gallons of stormwater from entering the sewer system on an annual bases. 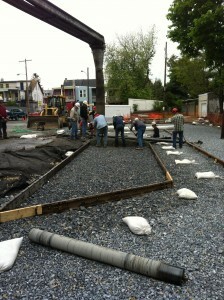 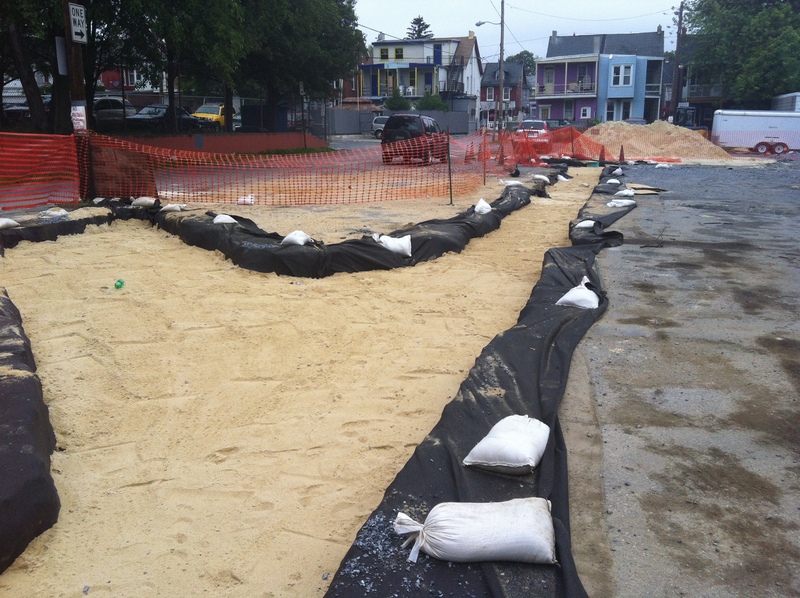 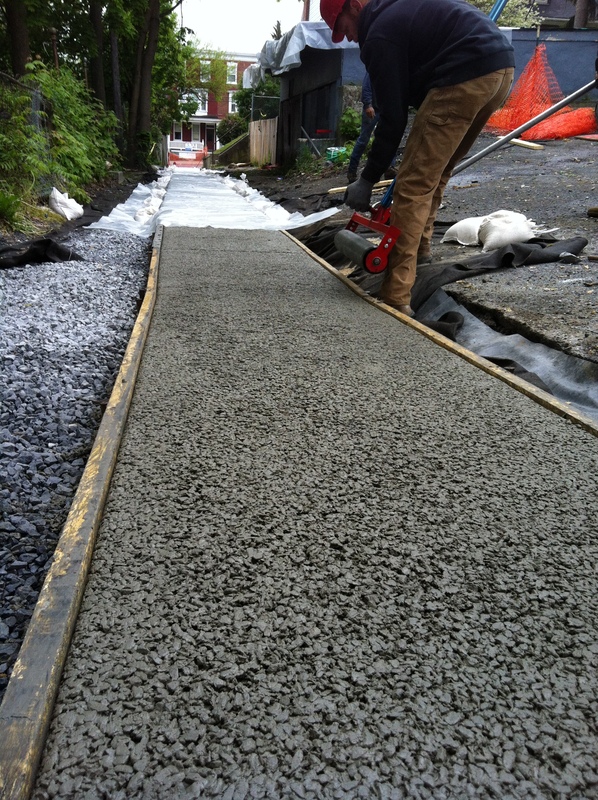 Plum Street parking lot infiltration bed during construction and upon completion with the permeable concrete. 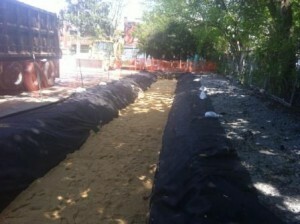 Plum Street parking lot tree trench during construction and upon completion. 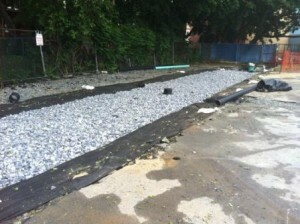 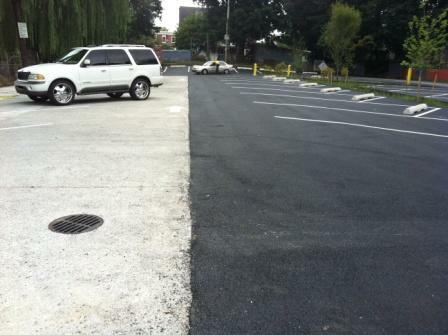 Mifflin Street parking lot infiltration trench in two phases of construction with completed permeable macadum below. 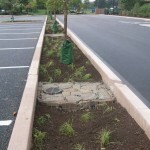 Mifflin Street parking lot rain garden catches water flowing from two directions. 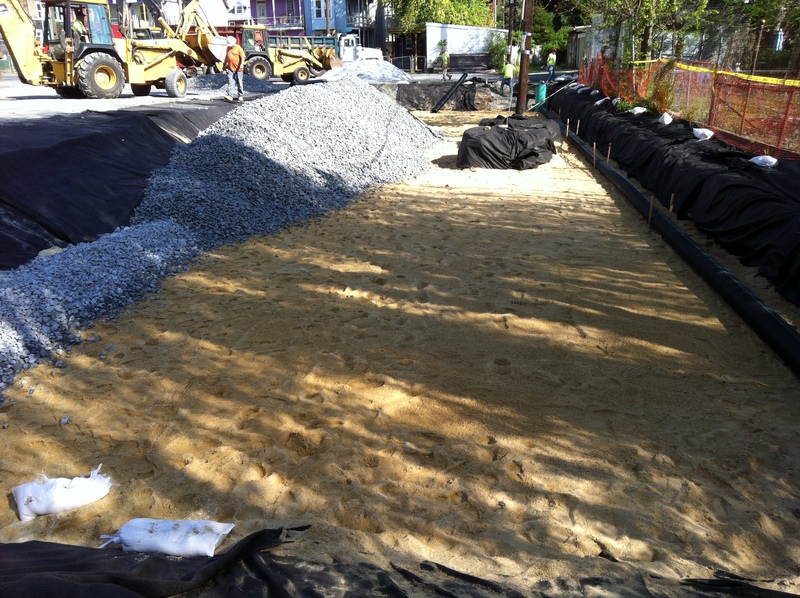 The Plum Street lot will capture up to 674,000 gallons per year it includes an infiltration bed with permeable concrete, a rain garden, and tree trench. 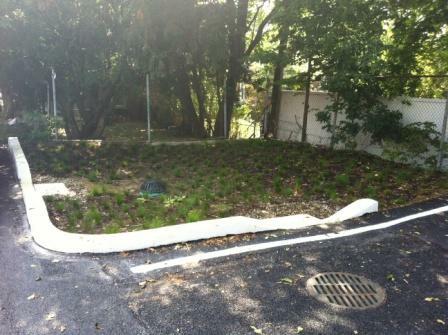 The image below is the start of the infiltration bed that will capture the stormwater runoff. 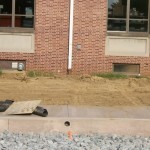 Please check back for more pictures as the project progresses. 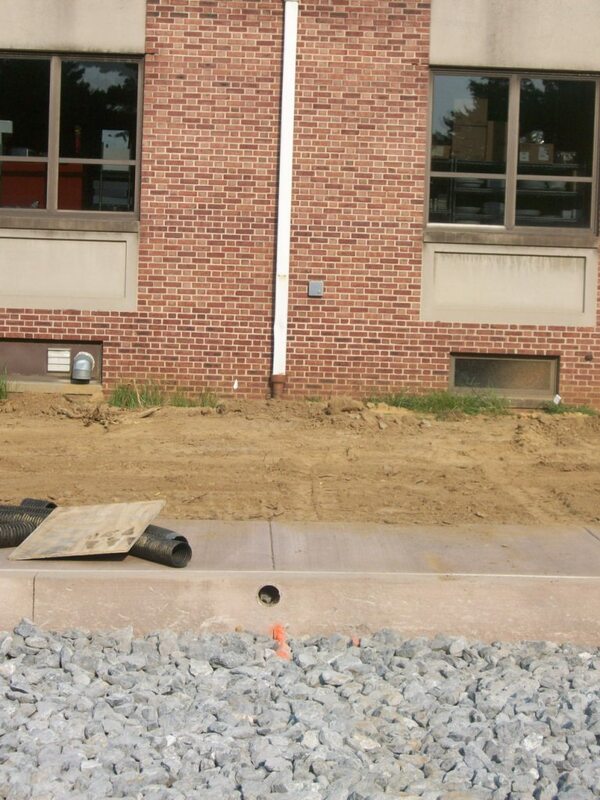 Click here to read an article that appeared recently in the Lancaster Newspapers. 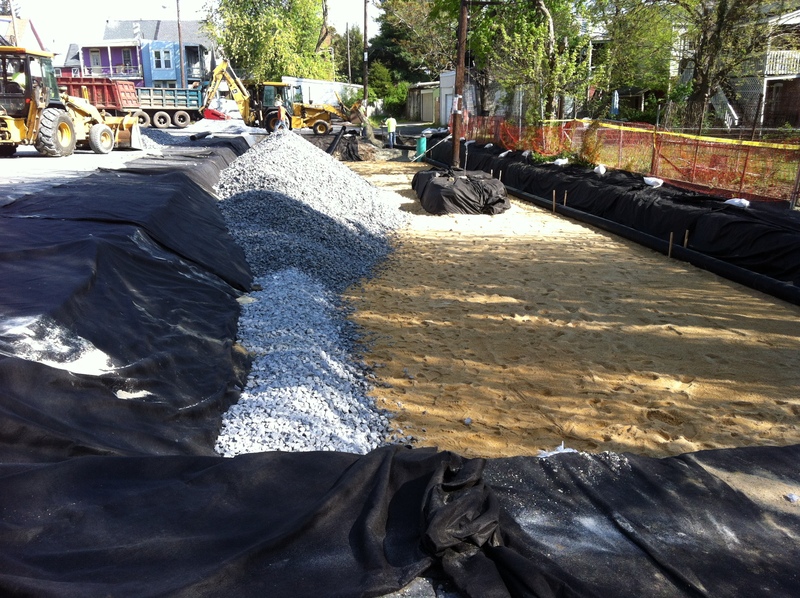 When Franklin and Marshall needed to expand its Race Avenue parking lot, they wondered how if they could not only park more cars, but also “park” thousands of gallons of stormwater. 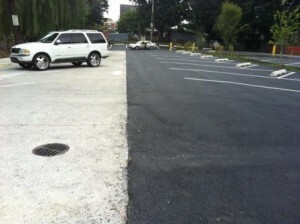 They decided to experiment with a green parking lot. 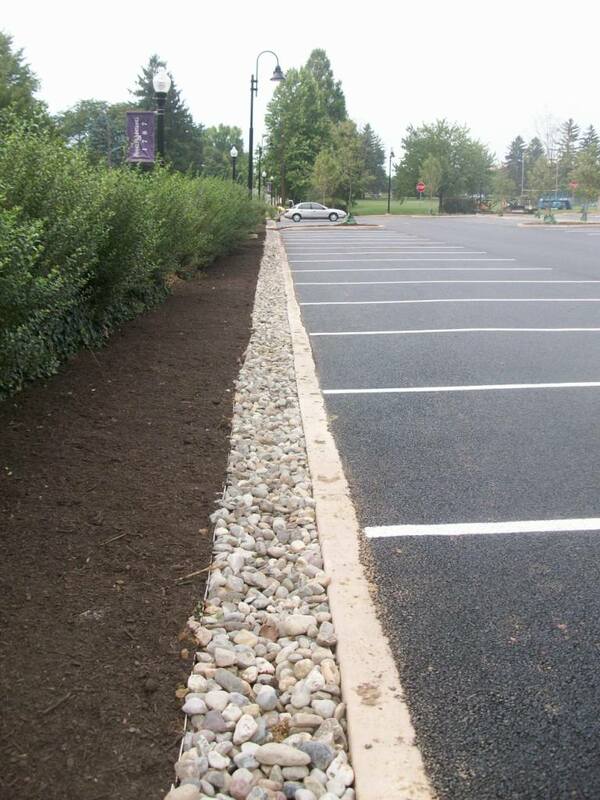 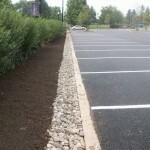 Green parking lots are typically built by excavating the existing lot and installing a stone bed underneath a layer of porous pavement. 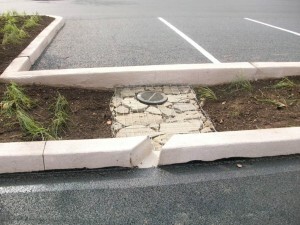 Runoff from adjacent buildings was also redirected into the infiltration bed. 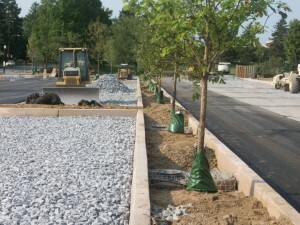 Tree trenches were added and voila! 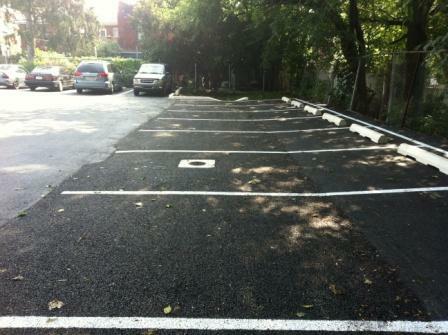 — one of the first green parking lots in the City was completed. 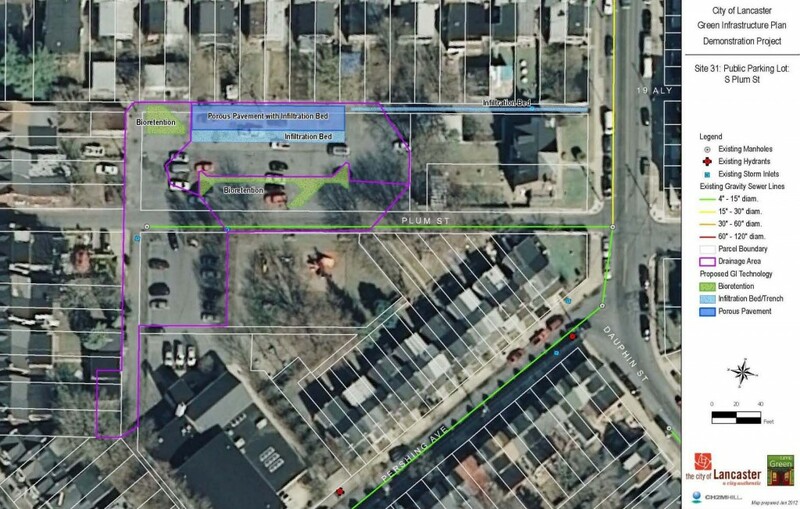 Check it out next time you are in the neighborhood.